Continue the conversation with me, Mr. Patrick, on Nov. 12th. I will be delivering a free live webinar based on my Edutopia article, PBL through a Maker’s Lens. I’ll discuss the various ways we can integrate standards, choose appropriate projects, build student engagement and choice and generally have a great time. You can sign up here. 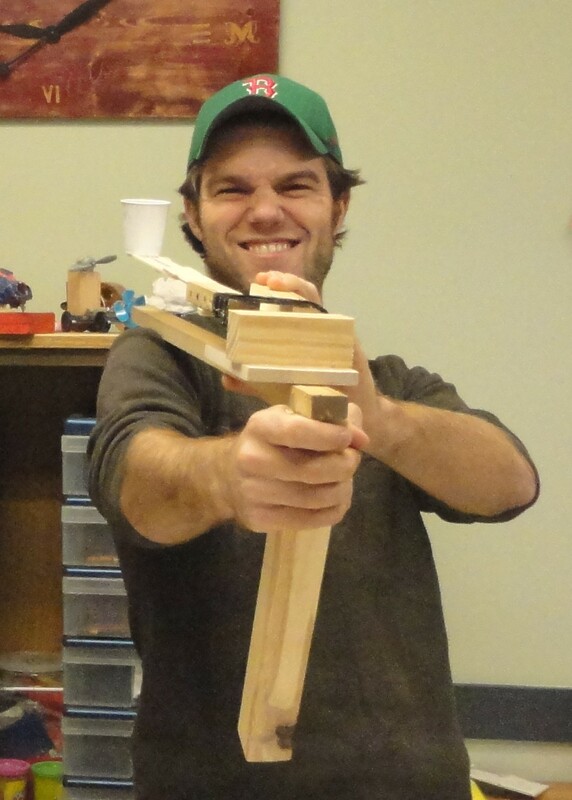 Essential Question: Can I make a catapult shoot a ping pong ball thirty feet? And use it in zombie self defense? Our mission is to help schools realize the goal of being communities that both inspire and support students to be passionate about their learning while preparing them to play active and productive roles in their world. It is our belief that this is best accomplished within the framework of a student-centered approach to education. NISCE provides opportunities and platforms for education professionals to share ideas about trends in education and for students, parents and teachers to share their observations, thoughts and feelings on how those trends are playing out at the school level. NISCE will advocate for public policies and funding that promote a more student centered approach to education and will offer training in the critical elements of this approach to schools and parents. So let’s continue the conversation on PBL and Making! ← This Week In the Classroom: How to Build Electromagnets!